ent as the designs have been, we are passed the paper stage. The house is built and the builders have been adding on and having a party.. Verdict: The perfect culmination of all the Marvel Cinematic Universe movies. to the mega-hype and we are ready to tell you all about it; spoiler free, of course. the planet Titan is in search of Infinity Stones that were created just after the big bang. The stones are spread across the galaxy and two of them have found their way to Earth. 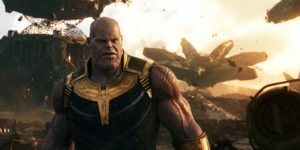 Thanos doesn’t care about eliminating anyone who comes in his way and it is upto the Avengers, Dr. Strange (Benedict Cumberbatch) and the Guardians of the Galaxy to stop him now. We can safely say that this movie is going to change the way we look at the comic book movies now. 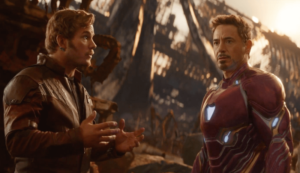 Not only is this movie one of the perfect adaptations of a comic book, but this is also a very satisfying culmination of every different road Marvel Cinematic Universe has taken. It has all your favorite superheroes in one single movie. What more could you want?